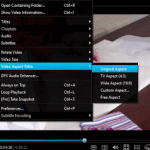 1) Launch VLC Media Player with the Video you want to watch and use a different aspect ratio. 2) Touch the screen of the player, the last option on the right, Click on it (Where the red box is). 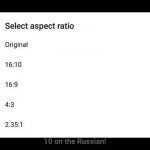 3) Pressing it frequently will be changing the aspect ratio, when it has gotten to the one required, stop pressing the option. 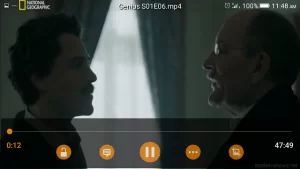 Hope with this, you have been able to change the aspect ratio available on the VLC Media Player (Android). 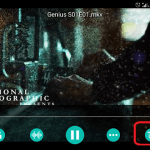 Im trying to view a 3d movie in 2d with vlc for android on my Google Nexus 6P. I cant change or “force change” resolution. The stock res option choices (circles in red above) dont offer 32:9? Yes, there was. Will update the tutorial soon. 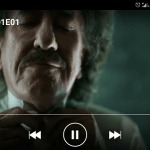 Totally messed up that there is no stretch available… VLC was the only one I found so far that allowed for this so that my media player android videos would stretch the full aspect of my widescreen. PLEASE put this back soon!